It is always a pleasant surprise to settle down with a book that you think could be a good story, and to be rewarded as a reader for the very faith that you presented it with. 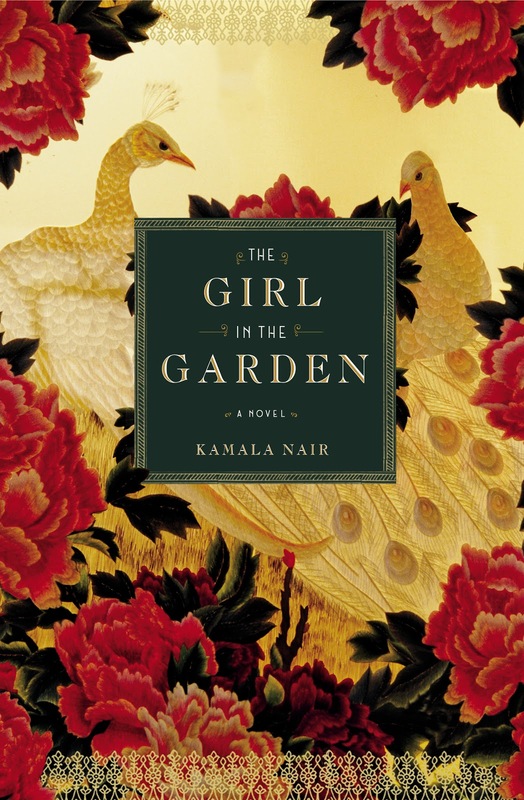 While The Girl in the Garden begins with Rakhee immediately traveling for the second time in her life to India from America, leaving behind the ring her future husband gave her, the rest of the book is a flashback to one summer when Rakhee was only eleven-years-old. It was the very first time she had ever visited India with her mother, which was also the first time she met her extended family. It is a summer of secrets and betrayal. Families do come with burdens and unspoken truths, but the ones Rakhee learns in that one summer are more than she could ever have dreamed of. Or feared. But it is something that she must resolve before she can get married. Rakhee is eleven who has lived her whole life in Minnesota. While her parents love her and provide a good home, Rakhee doesn't "fit" with her classmates and is never included in anything. She may have her mother and her father, and a devoted dog named Merlin, but she doesn't have any friends. Her mother, a beautiful and sad woman, receives a curious letter in the mail, stamped with overseas postage. The contents of the letter aren't shared with Rakhee, but she is forced to fly to India with her mother for the summer. Once arriving in humid and hectic India, Rakhee again finds herself uncomfortable - she doesn't fit here either, at least at first. Settling into the routines of life in a foreign land, Rakhee's cousins are there to help her along, and provide her the very thing she's been craving - friendship. But this is so much more than simply a story about family - there is a secret behind the house in which her mother grew up. A secret of evil that her cousins have always been warned about. Children tend to be curious and defy the orders of their parents, but Rakhee's cousins have never done so - they've been told they shouldn't go over the wall that separates their house from this evil, and so they haven't. But with bravado, innocence, or by accident, Rakhee finds herself over the wall and curiously walking through the woods. What she finds there becomes magical, or real, but ultimately becomes the summer that seals all of their fates and reveals the truth behind the secrets that her mother's family have always kept. At once beautiful and strong, Kamala Nair delivers a story in which the very beauty of it is layered in its web of characters, culture, and secrets amidst the oppressive heat of India. There is almost a lyrical sound to the words on the page, and many times I found myself reading aloud, to see if I could capture the music. I love it when a book makes me do that. I felt the humidity of India, and especially young Rakhee's confusion as the lies of her family swirled around her, and I also could easily feel the injustice and frustration of being young and always being told that you're just not old enough to know the truth. Such a helpless feeling. But will finding the answer to a years kept secret ever make you feel better? There is nothing but surprise when each secret is revealed. I held my breath as it unfolded. I look forward to more from Kamala Nair. Fans of Lisa See, who enjoy cultural ties in fiction, will enjoy this book. Throw in the mystery behind it all, and you've also got a good one for your book club. 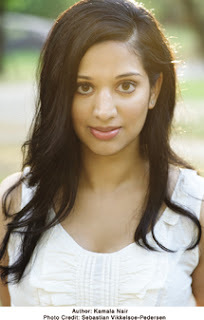 Kamala Nair was born in London and grew up in the United States. A graduate of Wellesley College, she studied literature at Oxford University and received and M.Phil in Creative Writing from Trinity College Dublin in 2005. She currently lives in New York City, where she has worked at ELLE DECOR. Visit the author on her website by clicking here. Visit the author on Facebook by clicking here. Follow the author on Twitter by clicking here. Many thanks to TLC Book Tours for giving me the opportunity to read this book. Upcoming tour stops can be found by clicking here. Tuesday, July 5th: Book Club Classics! I really liked this book too! I loved how the story unfolded - it really captivated me. I just picked this one up over the weekend and can't wait to get started. Layered stories, especially ones with a different cultural angle, are usually some of my favorites. After reading your review I'm moving this one to the top of my TBR! Indian fiction is one of my favorite genres, and though I have come across a few lately that have disappointed me, this one sounds like it would not. I love the idea of seeing the main character in both an American and an Indian setting, and seeing how her personality changes in regards to that. This was a really great review, Natalie! Your recommendation goes a long way, so I will have to check this one out! This one sounds like a perfect book for me. I really enjoy cultural books. Great review! I've never read any Indian fiction before, but after your review of this book I'm eager to give it a try! Looks like a good read. I've been looking forward to this one, now even more so. I can't wait to get hold of it. I haven't read this book, yet. It sounds intriguing. Thanks for the review. Okay, that's it. I'm buying this one tomorrow. Yours is the second great review I've read of this today. Great review! I agree with everything you said -- especially "There is almost a lyrical sound to the words..." -- so true! That's what helped me race along in my reading -- it was effortless, the prose, even during the tense/stressful/sad moments. Really beautiful writing. Great review! I agree that it is simply a gorgeous story in the way it unfolds, in its prose. I've been on a huge Indian fiction streak lately, but I swear each is better than the last. There is something about the country that adds an entirely new element to the story that just does not exist in stories set elsewhere. THE GIRL IN THE GARDEN is one great example. I love that you were reading aloud - what fun! I love Lisa See's books but haven't read much Indian fiction. I'll definitely be keeping this one in mind.